My recent post on Halloween has created quite a stir. That being the case, I would like to clarify a few issues. First of all, the intended audience of that original post was Muslims, some of whom had asked me to write something on the issue. It was not intended for “pagans,” nor was it intended to question their beliefs, per se. Rather, I was calling into question the actions of some Muslims who engage in practices informed by beliefs alien to our religion. Finally, relating to the final line of the original post, which stated, “Halaloween is Haram.” Many question such a bold declaration and ask for the reasoning behind it. That is what I intend to provide in the balance of this essay even though it will be very lengthy. I will admit from the outset that I meant Halloween is Haram, and carelessly used the term “Halaloween” metaphorically to indicate the actions Muslims may undertake imitating the practices of other communities around Halloween, i.e. Halloween parties, wearing costumes etc. This issue will be discussed later. To begin with, Halloween began as a religious festival dedicated to Samhain, the Lord of Death in some ancient European belief systems. Various sources relate that on October 31st Samhain would dispatch spirits to attack and harass humans. As time passed, in those parts of the world celebrating this festival, this day and its night became increasingly darker, characterized by belief in wandering ghosts, goblins, zombies, vampires, black cats, bats, demons and other symbols of the occult and underworld. The day also gradually took on significance for Devil worshippers, some of whom came to believe that October 31st was a day the Devil’s help could be invoked for divinations (seeking knowledge of future events) concerning marriages, health issues, financial decisions, etc. The first objective of the Divine Law (Maqasid al-Shari’ah) is the preservation of monotheism and the worship of Allah. Pursuant to this objective, idolatry in all of its manifestations has been forbidden in Islam, as well as actions and practices described by our scholars as constituting disbelief or those that are seen as leading to disbelief. Belief in a God of Death, Samhain, who has the power to act independently in creation, is idolatry and disbelief with Muslims, and therefore Haram, or forbidden. Similarly, to invoke the Devil for any purpose, is also idolatry and disbelief. Allah mentions in the Qur’an, “They call on none other than the rebellious Satan, Allah has cursed him (4:116-117).” To specifically invoke Satan for purposes of divination is an even more egregious form of disbelief. Our Prophet, peace be upon him, has mentioned in this regard, “Whoever affirms the truthfulness of a sorcerer, an astrologer or a fortune-teller has rejected faith in what has been revealed to Muhammad.” Again, this rejection of faith is compounded when the one allegedly informing of the future is Satan. Satan’s role in Halloween rituals and symbolism is also found in the tradition of the Jake o’ lantern. The candle in the Jack o’ lantern, symbolizes Irish Jack trapped in Purgatory between Heaven and Hell. The origin of the light in the Jack o’ lantern, now usually represented by a candle, began as a burning coal thrown by Satan to Jack after he was turned away from the gates of Hell. Jack placed the glowing coal into a turnip, which would become a pumpkin in North America, and used it as a lamp to illuminate his path as he wandered through the earth, trapped between Heaven and Hell. After Jack’s passing, for some, the candle came to represent the Jack himself. In any case, to adorn the interior or exterior of our homes with such a symbol is something forbidden in Islam, because it involves use of religious symbolism which has no relation to proper Muslim teachings. I mention this to say that a religious celebration infused with various layers of idolatry and Satanic influences is clearly forbidden in Islam. To reiterate, Halloween, in its original conception, practice and symbolism is forbidden in Islam. That being the case, it becomes incumbent on those advocating Muslim participation in the practices of Halloween to demonstrate, with evidence (Dalil), that the day and night are free of the idolatrous and Satanic influences that evolved around it. If it can be shown that such influences continue to be present, then the ruling of those practices and the symbolism surrounding them being forbidden (Haram) stands. This line of reasoning is consistent with a legal concept known as the continuity of the original ruling (Istishab al-Asl). Again, if it can be shown that Halloween continues to involve idolatrous beliefs or practices which clearly constitute disbelief by the standards of Islam, then the original ruling of such practices being Haram or impermissible to partake in, stands. We know that Halloween continues to be a religious holiday celebrated by those whose beliefs are antithetical to those of Muslims. Samhain, the festival which gave birth to Halloween, is currently celebrated October 31st each year by Wiccans and Satanists, and is the highest of all their holidays. A witch has been quoted in USA Today as saying, “Christians don’t realize it, but they’re celebrating our holiday with us. …We like it.” The symbols of darkness, evil and idolatry, as we Muslims understand them: ghosts, goblins, witches, demons, vampires, etc. continue to be associated with this day by those groups who celebrate it in ways consistent with its ancient origin. Hence, the original ruling concerning it, as mentioned above, stands. As for the argument that one’s intention (niyya) is the determinant of whether Halloween is lawful or unlawful, this is a baseless. Specifically, a good intention cannot render an unlawful action, lawful. Our scholars have captured this concept in the following expression, an-niyyatu’l hasana la tubarriru al-Haram. Hence, a good intention, such as the desire that our children not feel out of place on this day among their peers who may not be Muslim, cannot justify involvement in practices and with symbolism that are forbidden in our religion. Something unlawful can only be rendered temporarily lawful by absolute necessity and not by one’s whims or intentions. Hence, the legal maxim, “Absolute necessity renders the unlawful temporarily lawful (al-Darura tabihu’l Mahdhurat).” For example, if one is threatened with starvation and the only food available is pork, it is temporarily permissible to eat the pork, something normally forbidden, in order to sustain one’s life. Once the absolute necessity justifying the consumption of pork passes, it is no longer permissible. No one can claim that celebrating Halloween is an absolute necessity, which could, in their view, justify it being lawful. Furthermore, no one could claim that it is a need (Hajah), or beneath that, in terms of legal justification, an embellishment (Tahsiniyya). Some claim that Halloween is an American custom and custom is a legal consideration (al-‘Ada Muhakkamah). This maxim has no relevance here. Custom is only a legal consideration when it does not contradict or conflict with established rulings or principles of Islam. This is clearly not the case with Halloween, which conflicts with many Islamic rulings and principles, as we have shown. Therefore, one cannot claim its permissibility based on custom. A related idea is that the symbols of Halloween, some of which we have mentioned above, and all of which have been incorporated into the costumes commonly worn on the day and night of October 31st, no longer have any religious or idolatrous significance. Contrary to this claim, as we have mentioned above, these symbols continue to be part of active religious ceremonies undertaken as part of extant Wicca and Satanist rituals. This renders those symbols and the practices and costumes associated with them off limits for Muslims. There is another legal principle that becomes relevant here, namely, “Being pleased with disbelief is itself disbelief (Al-Rida bi’l Kufr, Kufr).” In this area of legal thinking the crux of the ruling of disbelief is something that is intangible, namely, pleasure. This intangible quality is found in the concept, “Business is predicated on mutual pleasure (Taradin) between the contracting parties.” In areas such as this, the intangible quality has to have a tangible manifestation in order for the ruling to be meaningful. In the case of business, mutual pleasure is expressed by an offer and acceptance (Ijab wa qabul). Contemporarily, this is accomplished through offering money and accepting a receipt, signing a contract, a handshake or other tangible actions largely defined by custom. Pleasure with disbelief is likewise expressed through tangible manifestations. In the case of Halloween, such actions as wearing costumes representing skeletons (dead spirits returning to life), witches, zombies, sorcerers, vampires or fairies, placing Jack o’ lanterns on one’s doorsteps, choosing October 31st for “Halaloween” parties, trick or treating and other actions can all be interpreted as expressions of pleasure with Kufr. That being the case, even if a Muslim disagrees with Halloween or “Halaloween” being Haram, it is something he or she should avoid out of fear of involvement in practices or accepting symbolism that can be viewed as expressions of pleasure with disbelief. 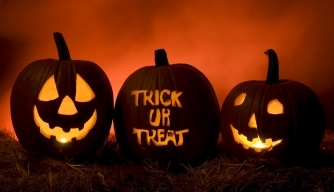 Were we to accept for the sake of argument that Halloween is an innocent, commercialized holiday (which opens an entirely different can of worms) an insightful scholar would still likely find it something to be forbidden, based on the concept of blocking lawful means to unlawful ends (Sadd al-Dhara’ia). This idea holds that if something that is lawful in and of itself will likely become a mean to something unlawful, then that otherwise lawful mean becomes unlawful. In our society, which is becoming increasingly un-Godly, occult practices and symbolism are systematically becoming normalized as part of the socio-cultural landscape. Seemingly innocent and innocuous manifestations of Satanism and the occult are becoming recruitment tools into darker and more dangerous beliefs and practices. In my estimation, which is shared by many others, Halloween, as it is commonly practiced and understood, is one of those seemingly innocent and innocuous manifestations of the nefarious forces that are subtly leading many Muslims, as well as others, to engage in practices which would have been unthinkable a generation ago. Any door with the potential to lead to those dark spaces must be slammed shut. We need to be honest with our children and tell them unambiguously that we are Muslims and there are some things we do not believe in or practice because they are antithetical to our religious teachings. The Jehovah’s Witness, Hasidic Jews, the Amish and others do so with great force and clarity. 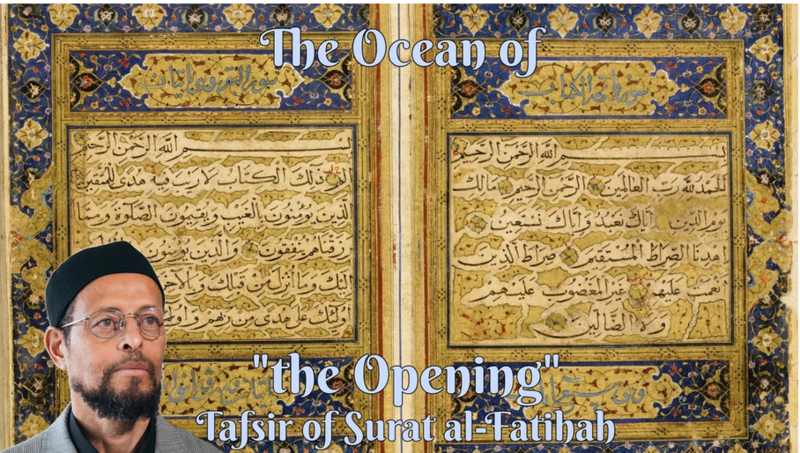 Tawhid, or upholding Divine Oneness, lies at the core of our religion. If it is compromised our religion will soon follow. We must assiduously guard our faith, especially during these perilous times. In conclusion, neither this nor the original Halloween post are meant, as some have implied, to be dismissive of the position or opinions of others. Nor are they meant to be offensive. I am only trying to warn my Muslim brothers and sisters of a great danger that is creeping up on our community. I believe in open discussion and freedom of opinion, but I do have strong positions on many issues. That does not necessarily make me right, nor does it make someone holding an opposing position wrong. This is how I see this particular issue, as unambiguously Haram, at many different levels, however, I respect the position of those who may see it differently. I also do not wish for anyone to take my position on the issue of Halloween as a blanket condemnation of all western holidays. Each one has to be considered on a case-by-case basis, as each is unique and distinct. May Allah guide us all to what He loves and to His good pleasure. Thank you. Its refreshing to actually read a detailed opinion with all the dala&apos;il. Can you please post your thoughts on thanksgiving in a similar manner (origins of the holiday and possible contradictions, if any, with islamic principles). Asalamu alaikum Jazak Allahu Khair Imam Zaid for this very thorough explanation of why Muslims should not condone Halloween observances for Muslim children. Your original post caused a very heated debate between two family members. While I believe it is healthy for young adults to voice their opinions, I personally will never back down when my heart tells me a "thing" or "position" is wrong by way of our Faith. To allow some from of halaloween with the intention of not making our children feel different or out of place from their public school counterparts is just a whisper from the shaitan in my opinion to make our Faith weak. Following this logic, what&apos;s next? Shall we soften our stance on homosexuality and say it&apos;s okay just because that community has bullied this society with their viewpoint and labeled those with a different view as prejudiced, undemocratic and racist (or at least homophobic)? We can be civilized, we can be gentle with our demeanor and polite with our words but we cannot be weak. Knowing the culture where one lives does not mean accepting it as the right way to live. May Allah (SWT) protect our young people and guide them to not be tricked by the trappings of this life and these times. Salām. Jazaak Allahu Khair for this enlightening issue. Much appreciated. Allah ﷻ protect and increase both you and Shaykh Hamza. as salaam aliakum, It reflects badly on us as Western Muslims that the Imam has to go to such lengths to explain something so obvious. Which Muslim is it that does not know that celebrating devil&apos;s night (Halloween) is haram? I can maybe understand having Christmas explained over and over, because Esa (as) is one of our prophets. Sanhaim, is a devil, a shayateen. We as a regional ummah are in the process of establishing an American identity and an American Islam. There are those overseas (Iran) who are beginning to point and say we are already off the path. In that light, debating Halloween makes us look foolish. Imam Zaid and many others work countless hours teaching us Islam. We have complicated issues to deal with like when it is acceptable to stop our efforts at work to make salah? How much does medical student get to push back his or her religious studies in order to become a doctor and save lives? In the face of the many complicated and multi-faceted problems we face as we practice Islam in America, we have many real and pressing questions that need answers yesterday. Yet, instead of answering the complex issues we actually need guidance on, Imam is having to sit here and give detailed answers on why Muslims should not celebrate devil&apos;s day? Really? Jazakhallah khair for clearly stating the facts. As Muslims, we should treat our religion with the seriousness that it deserves and be honest with our children. Instead of saying haram, we should sit them down and explain the situation. May Allah SWT reward you for this explanation. Thank you Sheikh for this much needed post. Very well written. Brilliant article. MashaAllah. May Allah reward you. Hopefully you can do a similar one on Christmas as we are often told Christmas has lost its religious significance nowadays so its harmless fun!! I agree that it is haram for Muslims to celebrate Halloween, but I also think it is important to acknowledge that its origins are not more pagan than, say, Christmas. Halloween is short for "All Hallow Eve" which is the night of All Saints Day, which is when Christians (used to, perhaps) remember all the Christian Saints who passed away, and precedes the days when the Christian dead, in general, are remembered. Like Christmas, it was a Christian holiday imposed upon the earlier pagan traditions mentioned in the article. The Christian aspects of these holidays could conceivably be celebrated by Muslims, as Jesus, peace be upon him, is considered a Prophet by Muslims, and the early Christian Saints may well have been in fact Muslims. But it is true, the Monotheistic aspects of Halloween are almost completely unknown in the United States, and what we have in practice is an almost entirely Pagan ritual. Imam Zaid, this is a money article you posted! Its reasoning and rationale are far reaching. May Allah swt give you and your family blessings and peace! I&apos;m really enjoying the design and layoout of your blog. It&apos;s a very easy onn the eyes which makes itt much more pleasant for me to come hede andd visit more often. Did you hire out a designer to create your theme? Fantastic work! Thank you so much for that excellent article. Please tell us what your thoughts are about Thanksgiving?